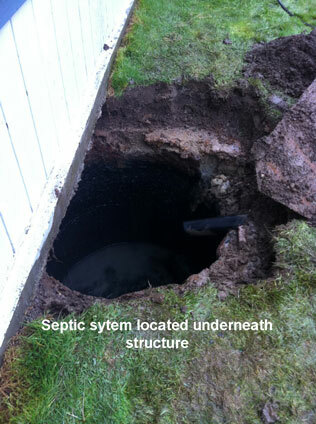 Snohomish septic pumping information. Sultan Pumper has been working in Snohomish for over 39 years. Pumping and cleaning septic tanks for Snohomish. What is an onsite septic tank system? What can you do to take care of an onsite septic tank system? 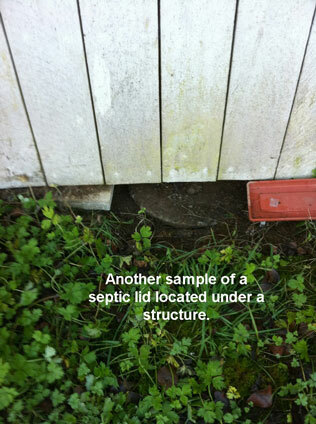 What is the purpose of a septic certification/inspection report? 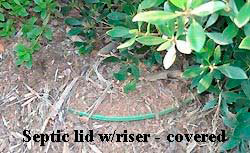 How do you locate and dig your septic tank lid(s)? How do you know when you need to have risers installed? What to do if your pump alarm is going off? 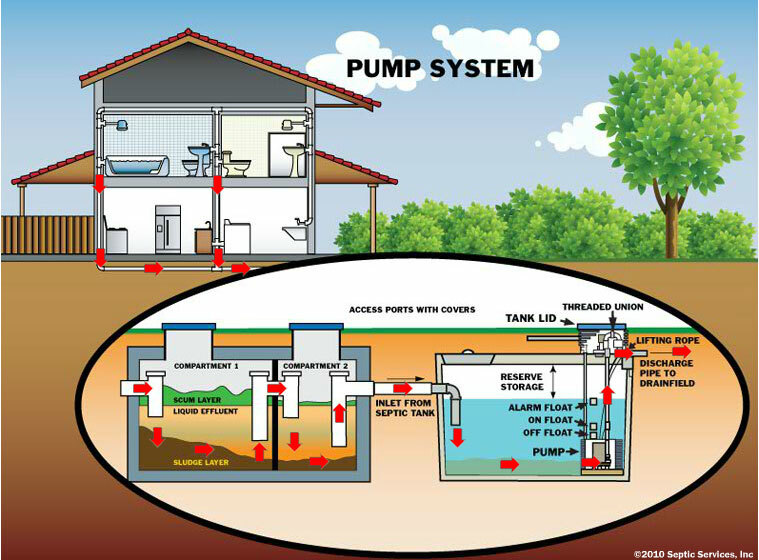 A septic tank system (also called an on-site sewage system) is a disposal system for water-carried household wastes from the kitchen, bathroom and laundry. The system provides initial treatment of these wastes before they are further purified by the filtering action of the soil. 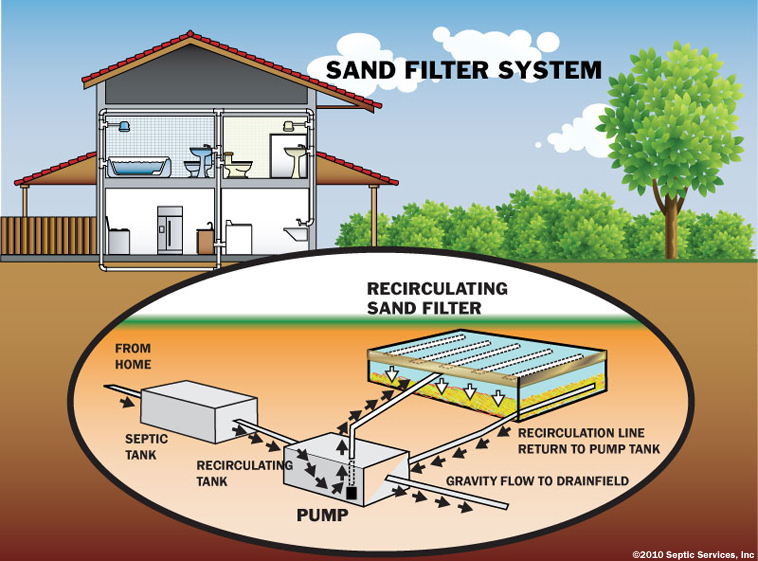 The septic tank and the drainfield are the system’s two main components. 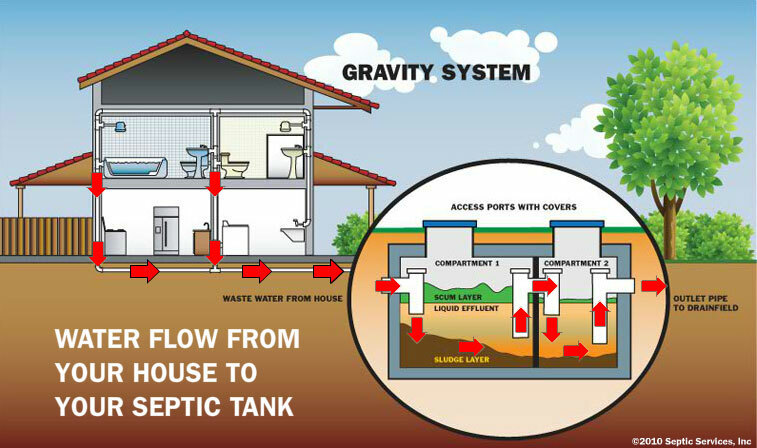 The septic tank is a large underground box, usually concrete, which collects and holds all of the household wastes. It stores these wastes for two to three days, so that the heavy suspended materials such as feces, food residues and soils sink to the bottom to be decomposed by bacteria into sludge. Lighter materials such as grease and paper products float to the top and form a scum, which is trapped in the tank by baffles. The scum also decomposes in time. 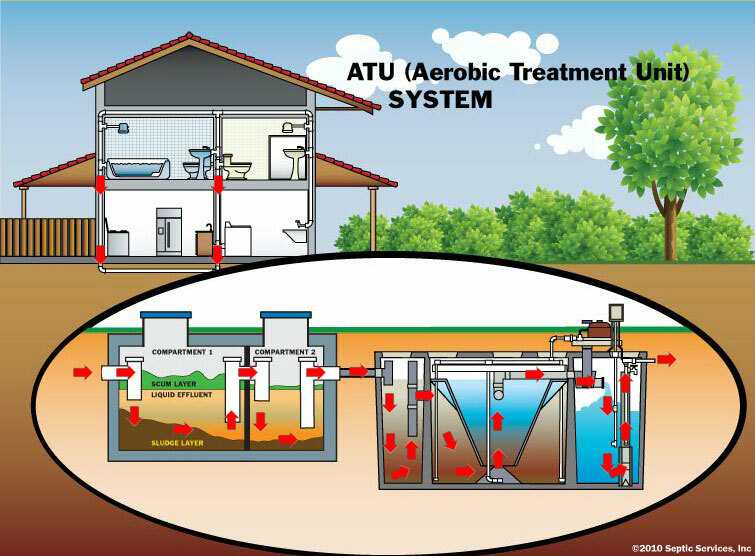 After being partially purified, the wastewater flows from the septic tank into the drainfield. At that point the waste water is called “effluent.” The drainfield is a network of perforated pipes buried underground in gravel trenches. The effluent flows through the pipes out the holes and into a large area of soil. The soil is an excellent filter, removing the remaining suspended substances, pollutants and bacteria from the effluent. A small amount of effluent taken up by grass and any nearby plants and trees is evaporated. 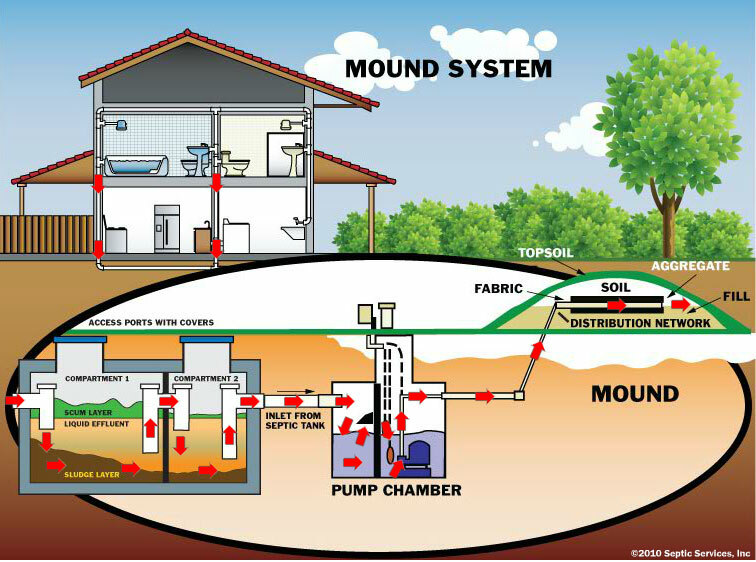 Below are examples of several common types of septic systems. Select the applicable county and follow the directions provided on each website. We have all heard stories about septic tank systems that have worked well for many years without any maintenance or care. Unfortunately, these are the exception. 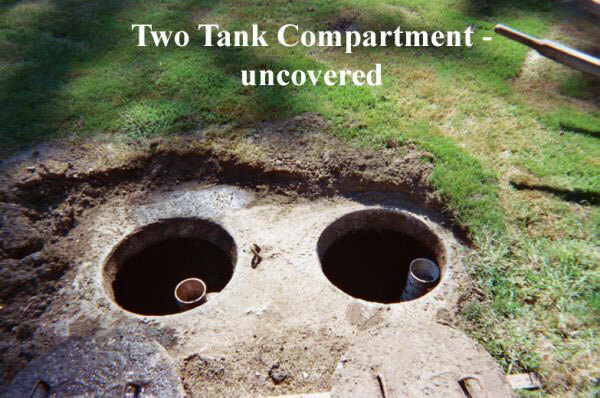 Most septic tank systems require proper care if they are to work well for a long time. 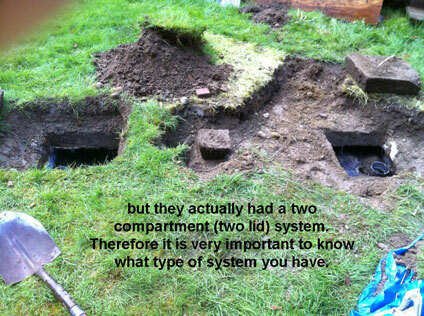 § Knowing where your septic tank and drainfield are located. § Pumping your septic tank every 2 ½ to 3 years. § Diverting runoff from your drainfield. 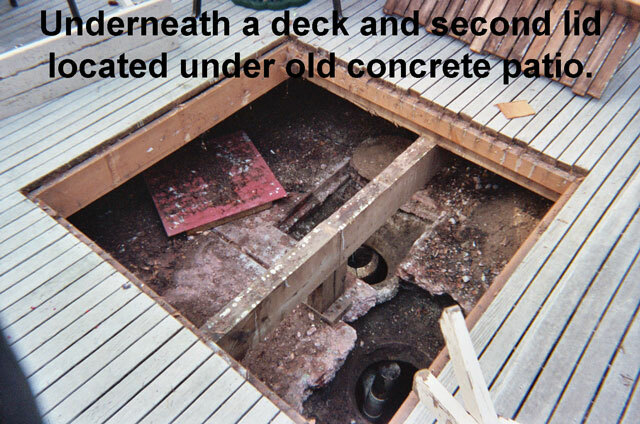 § Not constructing anything over your septic tank and/or drainfield. § Not parking or driving cars over your drainfield. § Don't plant trees and shrubs over your septic tank and/or drainfield. § Being careful what you flush into your septic tank. § Inspecting your system every year. § Do not flush cleaning or baby wipes into your septic tank. § Do not use powdered laundry soap. Following the items listed above can significantly extend the life of your septic tank system! These steps are not difficult; if you do them regularly you can avoid the expense and inconvenience of repairing a system that has broken down prematurely. Be careful what you flush into your septic tank. Don’t flush feminine hygiene products, baby wipes, cleaning wipes, wet wipes, dental floss, oil, grease, rags, paper towels, cigarette butts or other materials not intended to be handled by your septic tank. They do not decompose well and can clog the system or increase the frequency of pumping. 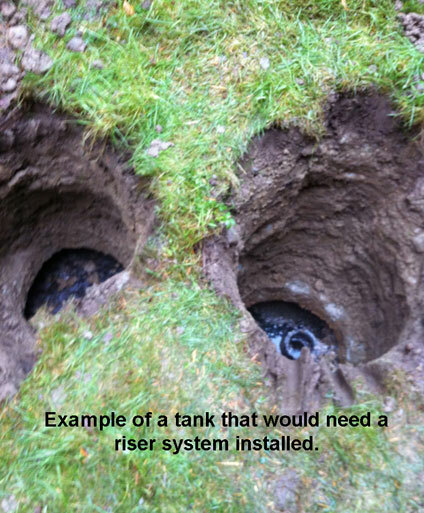 Repairing a clogged septic tank system can be costly. Below is an example of a tank filled with wipes that had to be cleaned out by hand. 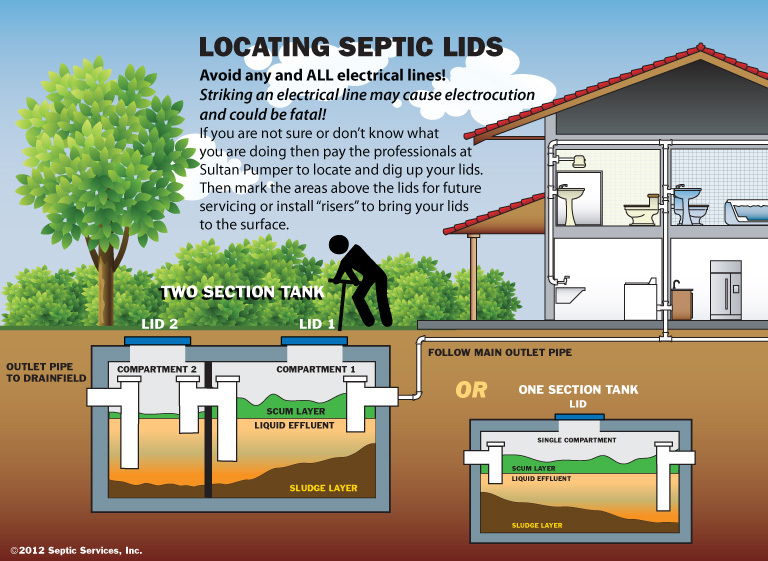 · Know where your septic tank and drainfield are located. 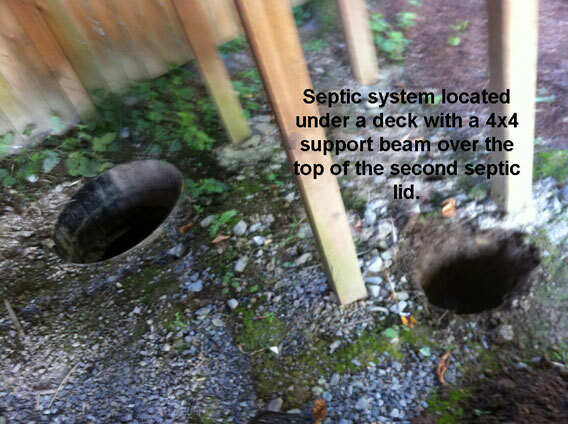 o Do you know where your septic tank system is located? 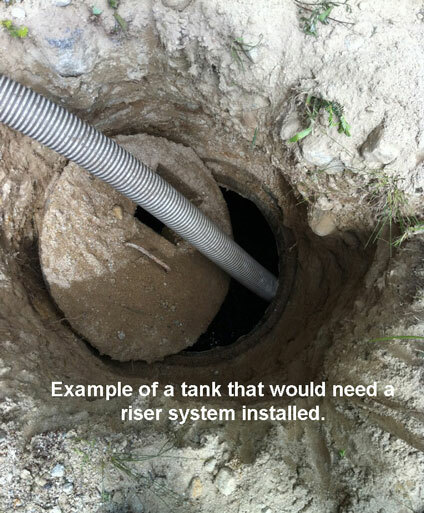 You should, because when you need to have your tank pumped or want to work on your house or yard, you’ll need to know where the system is located. You must know where your drainfield is if you want to protect it from accidental damage caused by landscaping, house construction or vehicle parking. 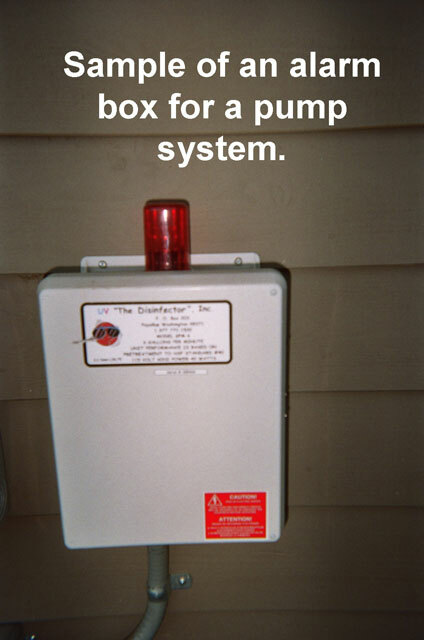 · Pump your septic tank every 2 ½ to 3 years. o You need to pump your septic tank periodically to remove accumulated sludge and scum. Otherwise, they will build up and be washed into the drainfield. Particles can then clog the drainfield pipes and soil, requiring expensive repairs. o Generally tanks should be pumped every 2 ½ to 3 years, although longer intervals may be satisfactory. The frequency depends partly on your household habits. Use of a garbage disposer in the kitchen, for example has a dramatic effect on the amount of sludge and scum produced. If you have a garbage disposer avoid using it, because it will significantly increase the need for pumping. 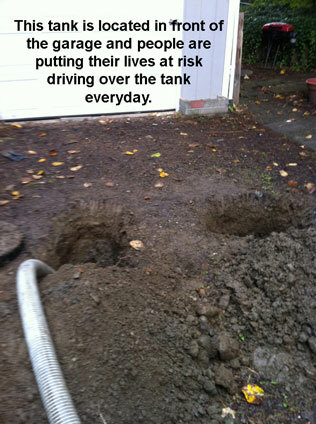 o Pumping a septic tank requires digging a hole over the tank so that the manhole to the tank can be opened. The manhole is usually 6 inches to 3 feet below the ground. Once the manhole is uncovered and opened, the contents of the tank, called “septage,” are pumped into a truck for disposal at an approved facility. o The septic tank must not be washed or disinfected after pumping. In fact, you should leave a small amount of sludge in the tank to help decompose new wastes. Ten percent of the original amount is about right. o Remember, the drainfield’s soil eventually has to absorb all the water that goes into the septic tank. The less water you use and put into the septic tank, the less the soil has to absorb. And in our frequently wet weather, the soil cannot absorb an endless supply of water. o The more water that goes into the septic tank, the faster wastes will be moved along through the system. For the system to work effectively, about 2 or 3 days are needed for solids to settle out of the wastewater and for bacteria to begin treating and decomposing wastes. Therefore, you should conserve water to help your septic tank system function efficiently. That means lowering the total amount of water used and timing when you do use water. o Water conservation can take many forms – using flow restrictors in the shower, low water-use washing machines, toilets and dishwashers; not letting household water run excessively; and quick repair of leaking or dripping faucets and fixtures. If you develop good water use habits, you can improve the functioning of your septic tank system. · Divert runoff from your drainfield. o Soil in the drainfield area must absorb effluent from the septic tank and drainfield to complete waste treatment. If this soil is too wet, it cannot absorb the effluent to filter and purify the wastewater properly. o Therefore, avoid saturating this soil; point gutter downspouts away from the drainfield area. Also, if you have a patio, driveway or other solid surface nearby, make sure the water runoff is diverted away from the drainfield area. o Drainfield’s are constructed to accommodate wet soil during rainy weather, but additional water may prevent effluent from being absorbed and filtered properly. Effluent may then flow to the surface causing soggy ground, often with foul odors. In drier weather, lush, green grass may grow where effluent is surfacing – often contrasted with drier grass nearby. 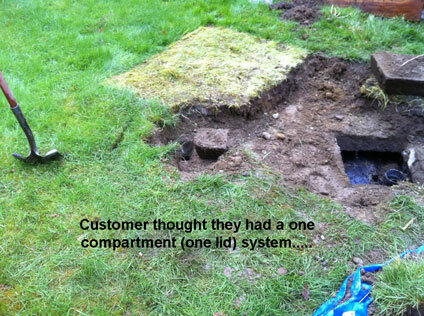 · Don’t construct anything over your septic tank and/or drainfield. o Don’t construct patios, carports, sidewalks, additions to the house and landscaping with plastic underlay to prevent weeds over a septic tank or drainfield. They can compact the soil and prevent it from absorbing and filtering effluent. It can also reduce effluent evaporation and certainly hinder digging up the system for routine pumping, inspection or repair. Grass is the best cover for a septic tank and drainfield. · Don’t park or drive cars over your drainfield. o Cars, trucks, or other vehicles can compact the soil and reduce its ability to treat effluent from the septic tank. Additionally, driving or parking cars over the drainfield may compress drainfield pipes or break them, which can prevent the drainfield from operating properly. If the effluent cannot flow out of the tank into the drainfield pipes, it can back up into the house or be forced to the surface of the ground in your yard. · Don’t plant trees and shrubs over your septic tank and/or drainfield. o Roots from shrubbery and trees can clog or break drainfield pipes. Shrubs and trees also make access to the septic tank and drainfield difficult for pumping, inspection or repair. Lawn or low natural plants are an ideal ground cover over a septic tank system. It will also help remove moisture from the soil by evaporation. 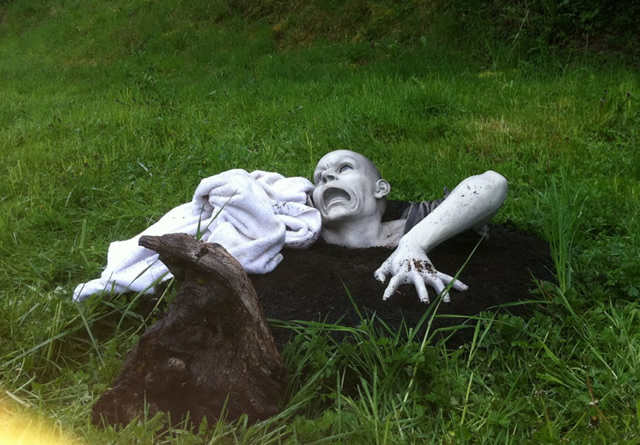 · Be careful what you flush into your septic tank. o Don’t flush feminine hygiene products, baby wipes, cleaning wipes, dental floss, oil, grease, rags, paper towels, cigarette butts or other materials not intended to be handled by your septic tank. They do not decompose well and can clog the system or increase the frequency of pumping. 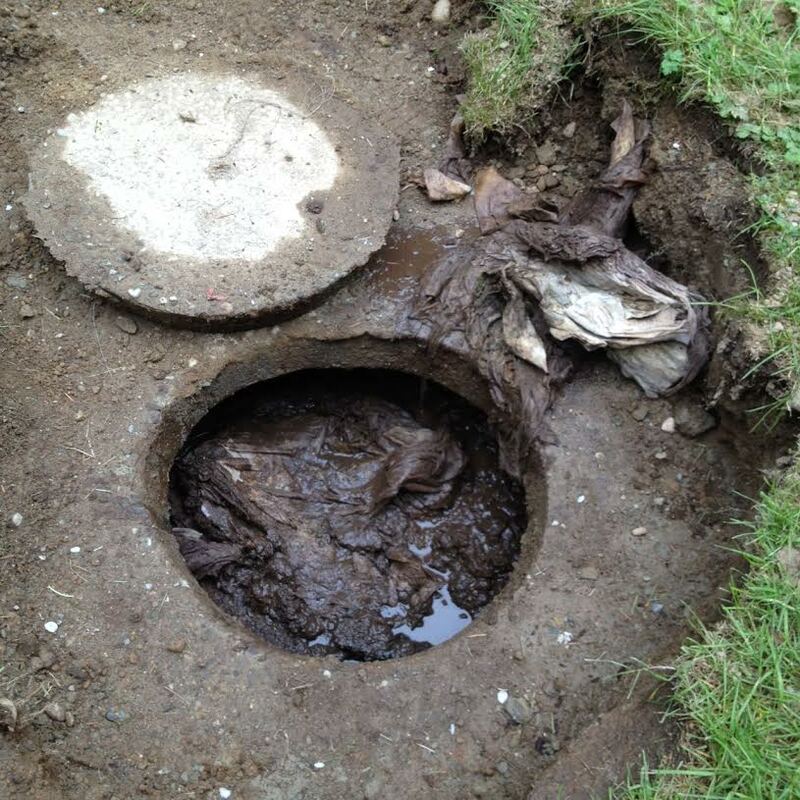 Repairing a clogged septic tank system can be costly. · Inspect your system every year. 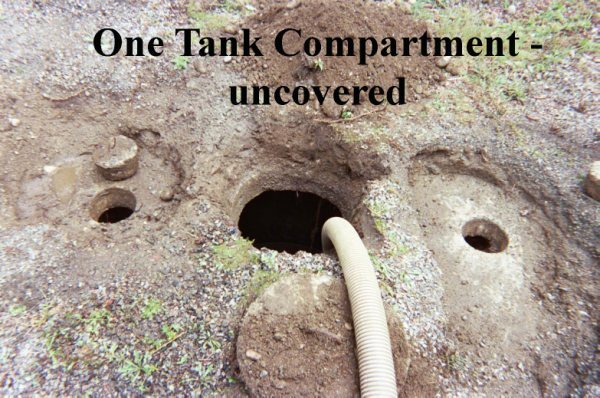 o A septic tank system, like a car or any other piece of equipment, will last longer and function better with proper operation and regular maintenance. Proper operation includes conserving water, diverting runoff and not flushing non-biodegradable materials. Good maintenance steps include regular pumping and yearly inspections. 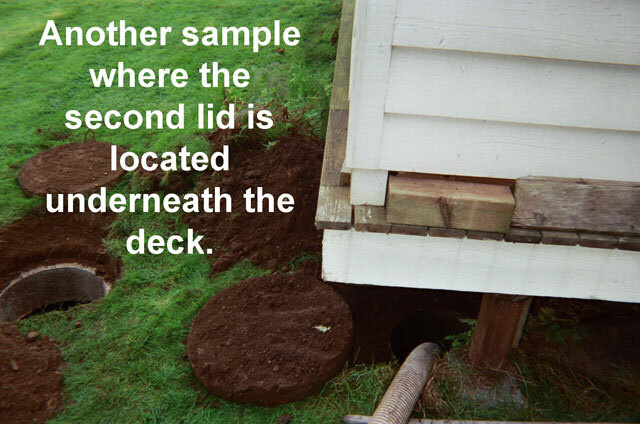 o This inspection should include looking carefully over the drainfield area to make sure it is functioning properly. Watch for lush green growth over the drainfield area, during the dry summer months. This growth is sometimes caused by effluent rising near the surface of the ground. Recheck these areas in the wet winter months, and if any effluent is surfacing on the ground, correct the problem immediately, as it may threaten public health and water quality. Surfacing effluent may also be accompanied by poorly draining plumbing in the home. While a number of problems may interfere with proper draining, one possible cause is a clogged or broken drainfield. o The inspection may also include checking sludge and scum levels inside your septic tank and make sure the tank’s baffles – which help prevent solids from flowing into the drainfield – are intact. These reports are needed for the sale of a home, but sometimes the county will require certification/inspection reports for businesses such as day care facilities, restaurants, etc. Our technicians check the septic system from the inlet pipe to the drainfield and document how the system is operating at the time of inspection. This report is not a warranty or a guarantee of how the system will perform in the future, but rather a full disclosure to all parties of how the system is operating on the date of inspection. o Warning - - when locating your lid make sure you AVOID any and ALL electrical lines! Striking an electrical line may cause electrocution and could be FATAL! In addition, to electrical lines you need to be aware of all plumbing and irrigation lines in your yard. Striking a plumbing or irrigation line will result in further damages and cost. If you are not sure or do not know what you are doing, then pay the professionals at Sultan Pumper to locate & dig up your lids. o Find the perimeter of the tank with a heavy digging bar/probe. Mark the edges of the tank in 4 opposing places. Use these marks to find the center of the tank (visualize a 2 foot circle in the center of the tank and dig this out). 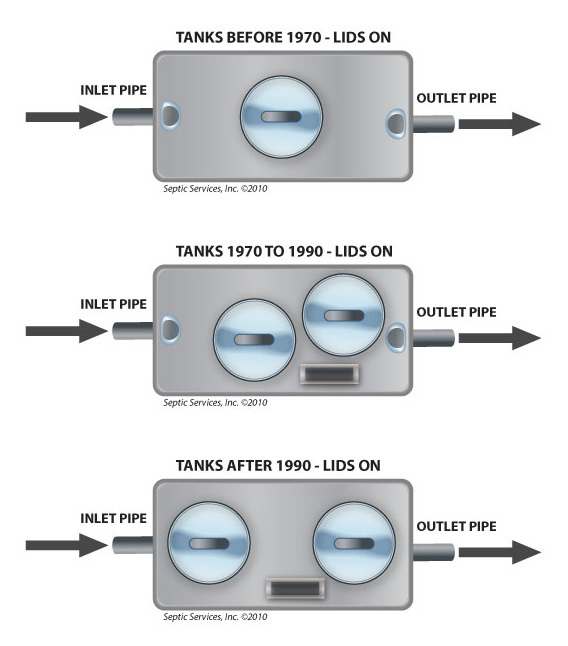 This process will be used for tanks installed prior to the 1980’s. o Once you have located where you believe the lid to be, you will dig in a 2 – 3 foot radius removing the sod/grass and placing it to one side of the hole (so you can put the sod back and it will look nice afterwards). Now proceed to dig and place your dirt from your hole in a neat pile opposite your sod (a piece of plastic or tarp is recommended to make easier to refill the hole). o Make sure to mark the areas above the lids for future servicing or install risers to bring your lids to the surface if your dig is more than 2 feet from the surface. 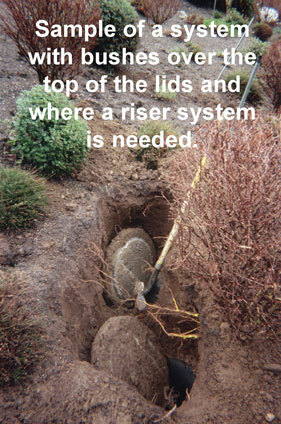 o If your lid is more than 2 feet below the surface, then you will need to have risers installed on your tank. 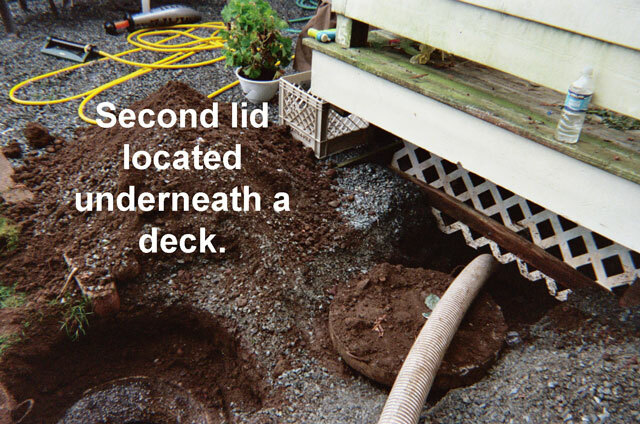 If your lids are located more than 3 feet below the surface, then L&I laws prohibit Sultan Pumper or any other person from hand digging further than 3 feet. Therefore an excavator and proper wall shoring will need to be used. o Check your electrical panel to make sure electricity is going to your pump. Alarms will go off if there is no electricity going to the pump. o If your pump is receiving electricity and your alarm is still going off, then call Sultan Pumper because a qualified technician will be needed to assess what is wrong with your system. It could be electrical, floats or possibly your pump has burnt out. o If it is a burnt out pump then the tanks will need to be drained in order to replace the pump. Myth: Septic tank additives are necessary to help the system operate properly. Fact: All ingredients necessary for a septic tank to function properly are naturally found in wastes. You don’t need to add chemicals, yeasts, bacteria, enzymes or other products claimed to improve a septic tank system. Some of these products may actually harm your system by allowing sludge and scum to float out into the drainfield and clog it. Myth: Bleaches, detergents and drain cleaners can harm the septic tank system. Fact: When used in normal household quantities, bleaches, detergents, drain cleaners and other household cleaning products do not harm the septic tank system. Do not use these products excessively, however as they can disturb bacteria in the septic tank that help decompose wastes. Are septic demons bothering you?! Are you having septic nightmares? The following are a few examples of septic disasters, so don’t let this happen to you. Make sure you call Sultan Pumper today to schedule an appointment.